Homes built around the turn of the century used the rich look of stained Oak, Maple and other hardwoods to add architectural detail. Today many of these homes are being lovingly restored to their original glory after years of disrepair and neglect. 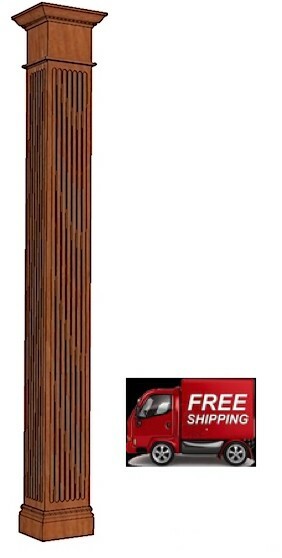 It is common for us to get requests for stain grade products; with this in mind we have introduced stain grade columns to our lineup. 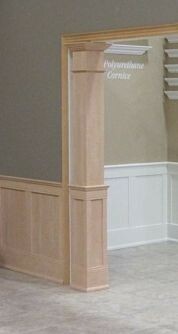 Square columns come in a variety of designs to fit any d'cor in an existing home or renovation. 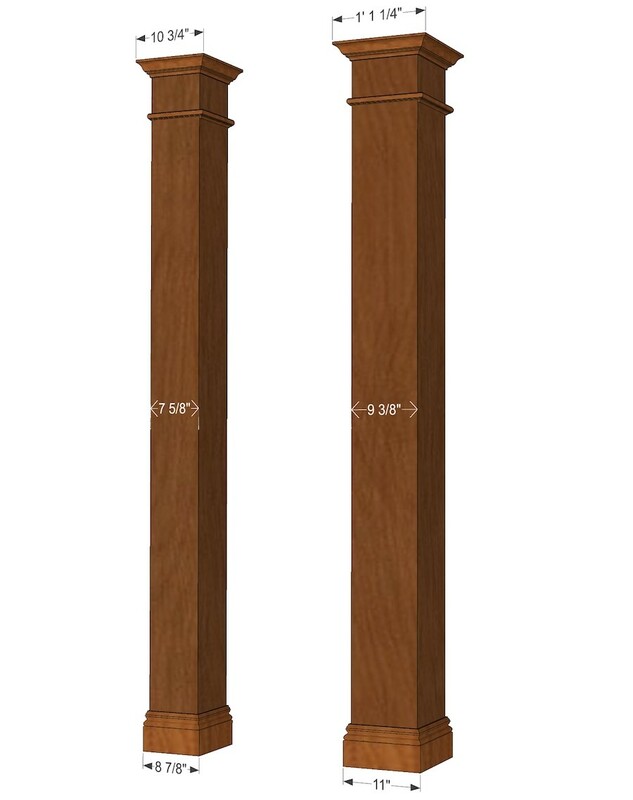 Square columns are hollow and so therefore not load bearing however they do give the illusion of bearing a great weight. 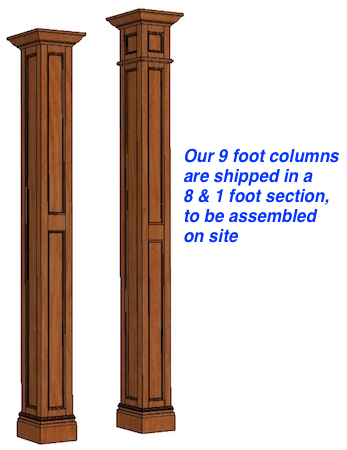 For those who are looking to wrap around a support, our columns are shipped UNASSEMBLED. 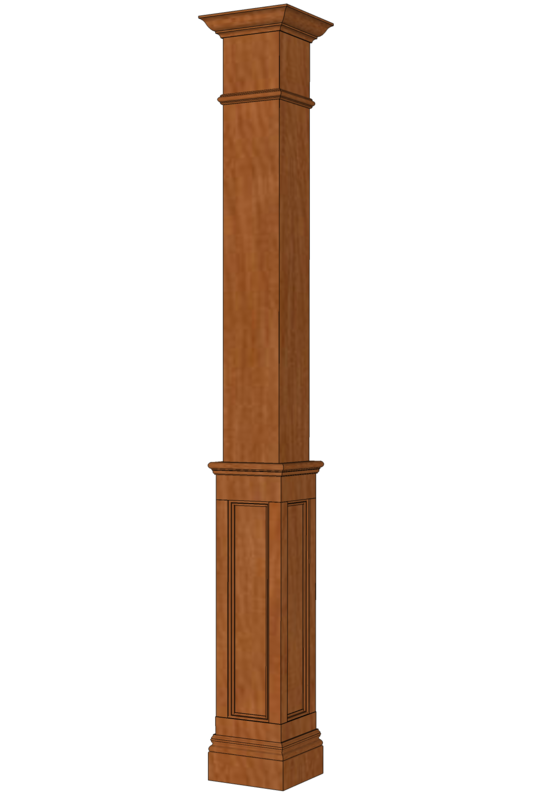 Our square columns are also a great add-on to our Stain Grade Wainscoting products; they can be incorporated into a room where Wainscoting is being installed or be used to finish off a wall where it is being applied. 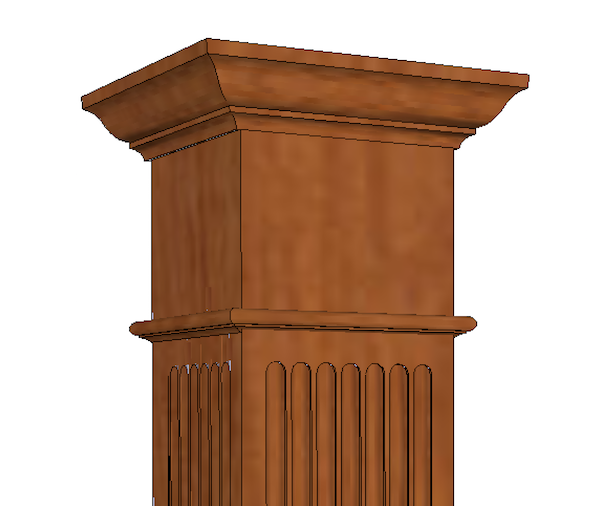 Note: Fluted Columns will be made from solid stock to maintain continuity of color when staining the product. 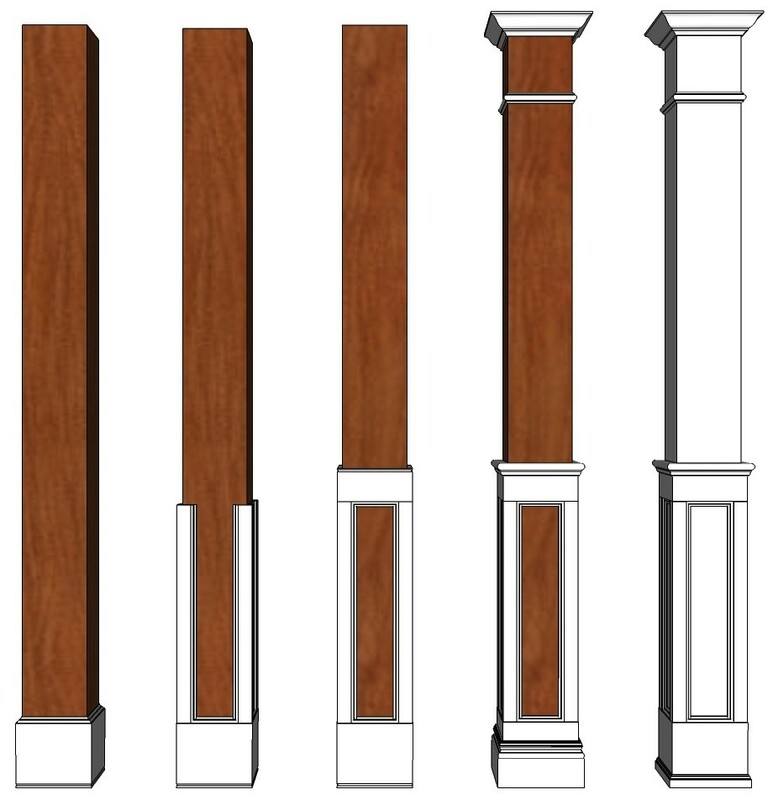 Smooth columns will be made from veneered wood unless otherwise specified. 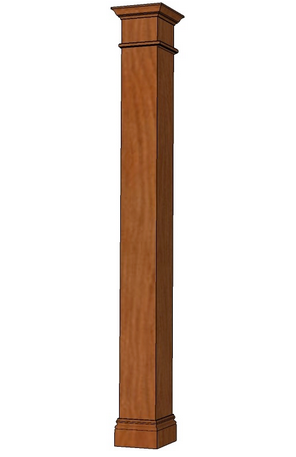 All trim parts and accessories are made from either solid or veneered furniture grade hardwood. Custom sizing is available in any species by request. Each Square column is hand made to order; they are manufactured using precision machinery and are sanded thoroughly before they leave the shop. Finishing of the column is made easy due to our stringent Quality Control process which ensures nothing leaves our plant without first being checked over for damage, discoloration and proper sizing. Red Oak, Maple and Cherry are offered as standards which are readily available, other species of wood and custom sizes may be available upon request; please contact us for a quote on price, manufacturing time and shipping. Titebond III Wood Glue, 2 oz.